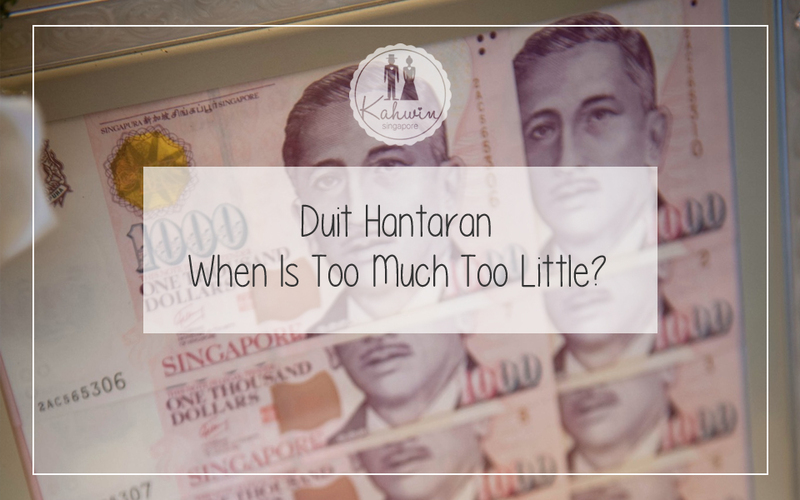 Duit Hantaran – When Is Too Much Too Little? From parents’ rants to chatter and gossip of the elderly, the issue of ‘duit hantaran’ in a Malay wedding will never escape the scrutiny of those surrounding the couple. People talk about ‘duit hantaran’ but hardly touch upon mas kahwin despite the fact that the latter is mandatory in Muslim marriages. The question is always about how much is acceptable between the two families in this union. Is there an ideal amount in the first place? The amount to be presented to the bride is ever increasing over time. As I understand from parents and recently-married relatives, the current ‘acceptable’ amount stands at an average of S$10,000. Duit Hantaran in a flower decorative. When my husband and I were discussing marriage more than two decades ago, the average ‘duit hantaran’ was about S$5,000. 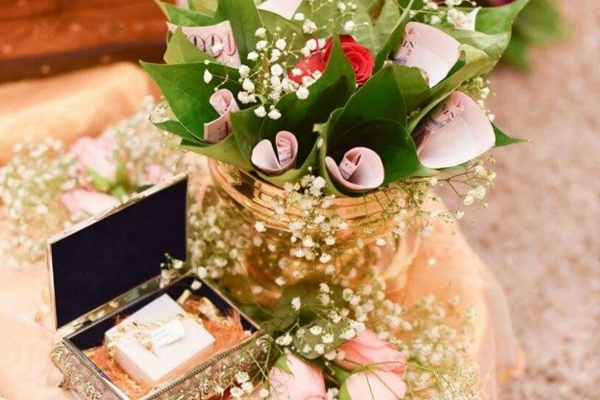 Since he was giving me jewellery on top of the duit hantaran, my husband proposed an amount of S$4,000 – a sum which did not bode well with my late mother. Her argument was that S$4,000 was a meagre sum for a graduate woman… well, at the time. 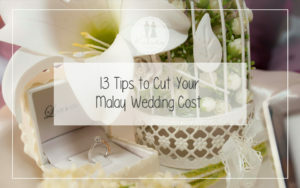 Arguments on the appropriate amount of duit hantaran usually stem from attaching it to the bride’s worth in terms of her education level, economic status and perhaps, looks. So if she is a knock-out graduate in a high-paying profession (for example a doctor or a lawyer), there is a high chance that the groom is going to burn a bigger hole in his pocket. Today, if a man were to propose the amount of S$4,000 as my husband did back then, it is highly likely that he will face some backlash from the woman’s family or worse, not even end up with a wife! In my case, my duit hantaran was eventually increased to S$5,000, a thousand of which was given to my mother as a gift. Being a practical couple, we then used the remaining money to furnish our new apartment. Society’s mindset of duit hantaran as a measure of a woman’s worth will not be dispelled anytime soon. It is always easy to cry foul when a woman’s family is seen to ‘overcharge’ a man in the proposed duit hantaran amount. Many would be quick to comment that a high demand is tantamount to tagging a price on one’s daughter. Now that I am a mother with a daughter who would hopefully be married off in the future, I see two sides of the coin. The average amount of duit hantaran has certainly gone up. This is a realistic increase, simply to reflect higher inflation and living expenses in today’s world. I can certainly empathize with parents who demand for higher duit hantaran on the basis that they have spent a lot on their daughters’ education and general upbringing. But I would stop short of asking for an amount beyond my future son-in-law’s means. While the asking amount has to be realistic to reflect today’s higher living expenses, it has to be reasonable as well. For instance, would it be reasonable to demand an amount of S$20,000 from a man who takes home $4,000 monthly? What if the groom-to-be is newly-employed? Try placing yourself in the shoes of the groom or his parents. 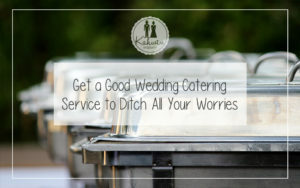 If faced with a high asking amount, won’t you feel an overwhelming sense of anxiety with exorbitant wedding expenses to settle? A friend’s son who recently got married proposed to give S$10,000 as duit hantaran to his bride, although he had just been working for a year. My friend was doubtful that her son could single-handedly raise the cash by the stipulated wedding date. Her fears were unfounded when the bride’s mother calmly declared that even if the groom was unable to come up with the amount by the wedding date, she was willing to let her daughter marry him. Such an exemplary gesture but which others might find hard to follow. Although the bride’s mother was willing to ‘settle’ for less, the groom kept to his word and presented the S$10,000 on the wedding day! This situation is in contrast to a niece’s friend who insisted that her groom set aside S$10,000 for the duit hantaran alone. The woman reasoned that if her partner could not raise this amount, then it is an indication that he would not be able to provide for her for life. Poor groom did not have the means to do so and ended up getting loans from friends and relatives. Now, I wonder how he is ever going to provide her for life, now that they are married? Let me emphasize that I am not entirely against asking for a high amount. What is more important to me is that the amount requested does not become a burden to the groom, his bride or their families in the wedding-after. If a doctor-groom were to get married to a doctor-bride, I would think that an amount of $20,000 or more is perhaps reasonable. However, if the doctor-bride were to be married to a groom with a more humble profession, it becomes ridiculous for her parents to be asking for that $20,000. 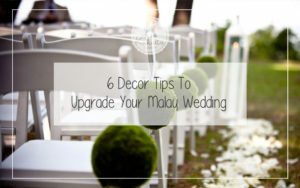 People don’t generally consider how couples work to amass the duit hantaran amount or how it will be used. While some grooms are financially stable enough to provide the money as gifts to their brides, there are couples who choose to place the money in their shared coffers. I have female relatives and acquaintances who get to keep the entire sum. Yet there are others who at the end of the day, use the duit hantaran for the couple’s mutual needs. For instance, they spend it on beddings or furniture for their new homes or to settle expenses incurred for the wedding. As for my daughter, I don’t know as yet whom she is getting married to. But as her mother, I hope to keep this balance of being realistic yet reasonable. I always hear the cliché that duit hantaran is not mandatory in Muslim marriages. And certainly, it’s not. Some woman even claim they don’t want to receive any at all. But have we heard or come across of any weddings without duit hantaran at all? 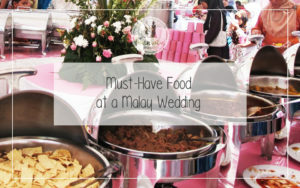 I certainly have not and this is because duit hantaran is an ‘adat’ in a Malay wedding. So why not just embrace it with a sense of humility and reason? An important thing to note is never let duit hantaran be a money-generating opportunity. View it as a gift symbolising the love between a man and a woman, the eventual use of which lies on the mutual agreement between the two parties. As parents, the last thing you want to do is to have instant gratification with requests on high duit hantaran. The newly-weds have a whole new life ahead of them with issues like buying homes or preparing for their offspring to think about. So be reasonable. Don’t snuff out the happiness of this new chapter in their lives.